But what happens as your site begins to grow? That shared server might not cut it anymore as your traffic increases or you want to add new functionality to your site. So what do you do? While you may not be ready for dedicated server hosting—which has its advantages but can be expensive for a small operation—it may be time to move to Virtual Private Server (VPS) hosting. VPS hosting is sort of like the compromise between the low-end and high-end hosting. Shared hosting puts multiple sites on a single server and shares the system’s resources. Dedicated hosting puts one account on a single server. 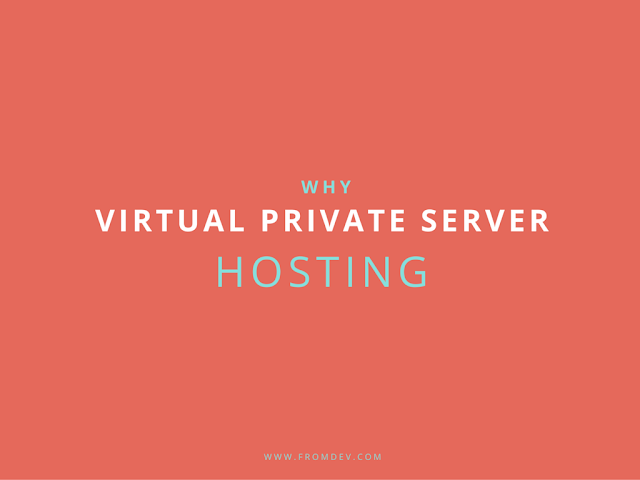 VPS hosting is a combination of the two, giving you a dedicated server on a virtual machine that shares resources. You’ll pay more for a VPS than you would for a shared server, but significantly less than a dedicated server. So how do you know if it’s time to make the switch? See if you’re experiencing any of the following. If your site is starting to get a lot of consistent traffic, congratulations! But that can be a bad thing if you’re not prepared for it. The more successful your site is, the worse its performance will be if you’re on a shared server. Why? Well, because your site is sharing resources with many other sites, those resources must be divided among all the accounts. Even if your host provides “unlimited bandwidth,” it must be divvied up. As your traffic creeps up, your site’s performance may creep down. With a VPS, you have a dedicated server that can handle more site traffic and even a spike in traffic if you have a blog or video that goes viral. So if you’re getting about 300 daily visitors and a few thousand page views a day, it’s probably time to switch. People aren’t patient when it comes to internet speed—you’ve probably pounded your desk in frustration a few times because a website loaded slowly. You really don’t want your visitors ticked off as they navigate your site. If your site is loading slowly, it’s probably because it’s too busy for that shared server. You’ve outgrown it. You’ve become Shaquille O’Neal, but you’re still trying to fit into a Fiat. As a result, that Fiat can only go 20 mph. With more traffic and functions on your site, you’re likely using several plugins that make multiple PHP and SQL database requests. Shared servers often struggle to handle those requests. What’s worse than having a slow-loading site? A site that’s not up at all. That, ladies and gentlemen, is called downtime. Downtime occurs when a server is overcrowded, causing it to slow down and eventually stop. Once it stops, your site is down until the server is fixed. This may not be because of your site, but rather another site sharing the server. All types of hosting servers have downtime now and then, but if you’re not sharing a server, you decrease the risk. Look for a hosting service with as close to 100% uptime as possible. Downtime doesn’t reflect well on a hosting service, and if your site is causing that downtime on a shared server, you’re going to hear about it. If your site starts to use too many of the shared server’s resources, such as CPU and RAM, your host may email to warn you about your usage. Even if you have unlimited bandwidth and storage, a hosting company can suspend your account if you’re using too much resource. If you’re making money from your site, whether by providing services or running an e-commerce business, you should definitely use a VPS to ensure high performance, security, reliability, uptime, and support. With a VPS or dedicated server, you have your own IP address, which protects you from problems on other sites. This is crucial when running a business, as any amount of downtime can cost you money. Furthermore, it provides better security. If customers are sharing sensitive information, such as credit card accounts, you can’t do business on a shared server. You’ll need an SSL certificate to encrypt online transactions, which you don’t want to do on a shared server. If you run multiple sites, you can manage them all on a shared server. However, one size doesn’t always fit all. If one of your sites starts to grow or if you use one to generate revenue, you may want to have dedicated IP for the site, which you can’t do with shared hosting. Moving your sites to a VPS can give you more flexibility and control as the sites grow and evolve. Though you have a measure of flexibility to customize some features with a shared server, with a VPS or dedicated server you have complete control over appearance and settings. With most VPS hosts, you’ll get root access and can use scripts that shared hosting often does not permit. Control over the environment is key if you develop custom apps or run a SaaS business. You can also easily scale your site or business when you have more control, whether you want to add more multimedia functions or downloadable files. So there you have it, seven signs that it may be time to switch to VPS hosting. If you’ve had your site up and running for a while and it’s had some measure of success, you probably encountered some of the issues mentioned. If you want your site’s performance to keep pace with its growth, you should consider upgrading to a VPS. If you just started your site recently, a shared server may work well for you. But always think ahead. As you improve your SEO and site ranking, and you start to get more traction, you may want to make the small investment in a VPS. How has your experience been with shared hosting? Have you switched or thought of switching to a VPS or dedicated server? Let us know in the comments. AccuWeb Hosting provides comprehensive hosting solutions to meet your needs, whether it’s VPS, shared, or dedicated server hosting. We provide Windows and Linux hosting on SSD, Cloud, or classic platforms.